Conservative Brett Hunt represents Bridge of Don, but his oil job means he is away on long-rotations around the world – and he last attended a meeting on September 10. Now the opposition SNP group – who have described him as a member for “Bridge of Dubai” – had pointed to Section 85 of the Local Government Act, which states non-attendance for six months means a member can no longer serve as a councillor. If Mr Hunt is forced to resign, a by-election would put the Tory, Aberdeen Labour and independent administration’s single member majority at risk. Last night, the Tory group insisted Mr Hunt had been “extremely diligent” in serving his constituents and insisted he would be at full council on March 4. They also argued that while similar legislation exists in Scotland, the specific law quoted by the SNP only applies in England and Wales. Mr Hunt has previously defended his work commitments, and said he made “no secret” of his role when he was elected in May 2017. 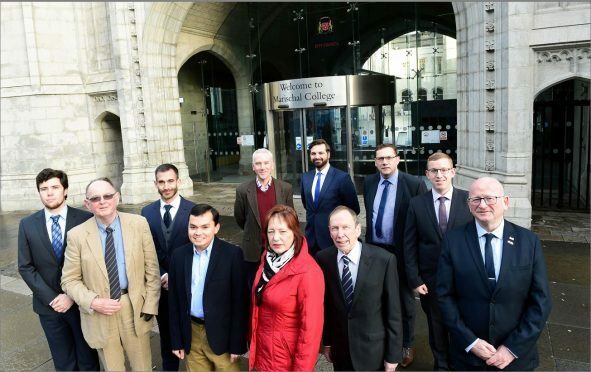 Meanwhile, attendance figures for the whole chamber have revealed that between August 13, 2018 and February 5, 2019, just 17 of the 45 councillors have attended all the meetings they were required to. However, a number of these absences have been due to poor health and other personal issues. Last night, SNP group leader Stephen Flynn said last night: “We all know that exceptions have rightly been made in the past on health grounds to allow councillors to pass the six month period, but I don’t think ‘not being in the city’ will wash it’s feet as a reasonable excuse. “I’ve heard a number of people refer to Brett Hunt as a councillor for the Bridge of Dubai and it will come as no surprise to them to learn that he hasn’t been seen at the townhouse since the start of September. But Conservative group leader, and council co-leader, Douglas Lumsden defended Mr Hunt and pointed out that many councillors have second jobs. Conservative group leader Douglas Lumsden said: “Being a councillor is not always full time job as SNP MSP John Mason reminded the Scottish Parliament last week. “Councillor Flynn and a third of the SNP group have second jobs with MPs or MSPs drawing double from the public purse.